A native of West Michigan, Jill Marie Brown has been principal flute in the West Michigan Symphony for over 30 years. Jill holds a B.A. from Calvin College, where she majored in Music as a flute concentrate with an added certification in music education. From there she went on to earn a M.M. from the University of Michigan in flute performance. Her past instructors include Ruth Bylsma, Darlene Dugan and Judy Bentley. 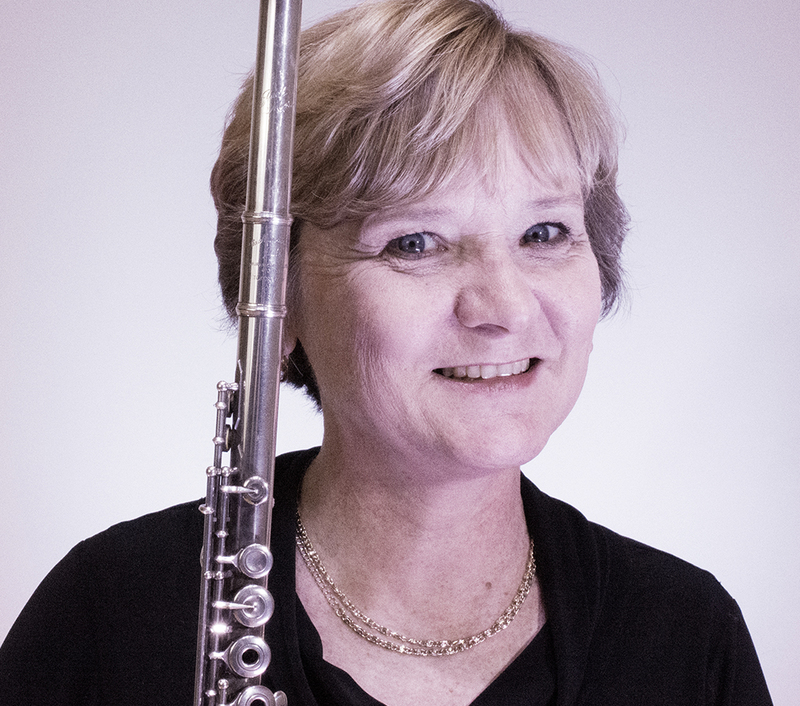 In addition, she has performed in master classes and attended workshops with several prominent flutists in the United States and Canada, including Jeanne Baxtresser, Julius Baker, Paula Robison, and Jeffrey Khaner. Jill is also a substitute flutist for Grand Rapids Symphony and a pit musician at Grand Rapids Civic Theatre. She also enjoys teaching and is presently the flute instructor at Calvin College, having also taught at Hope College. Jill has taught general music (K-9), middle school bands, and middle school choir at Byron Center Christian Schools, Moline Christian School, and St. Michael’s School in Coopersville. Jill and her husband live on an apple farm northwest of Grand Rapids.